CUTS international in a press statement discussed its argument. The organization said that it is essential to note that H1B visa is for skilled manpower and hence this may bring in unpredictability for the employers in the US.Even though the change in immigration regulations is still a proposed one, this may adversely affect existing and prospective H1B applications by forcing US employers to reconsider their employment policies for H1B holders. In the worst case scenario, it could also adversely affect the green card applications under the process. In this week alone, there were other unpleasant news on this front. For instance, there are reports that the proposed US Bill on ‘Protecting American Jobs’ seeks to tighten the definition of visa-dependent companies, imposition of fresh restrictions on minimum salary and movement of talent. These developments could have the potential to vitiate the cordial India-US relations., the statement added.In the recent past, the issue of H1B visas was taken up by Commerce Minster Suresh Prabhu at US-India bilateral Trade Policy Forum (TPF) and separately by Finance Minister Arun Jaitley in his meeting with US Commerce Secretary, Wilbur Ross. India’s argument is that the issue related to H1B is essentially a trade and services issue, and not a matter relating to immigration. 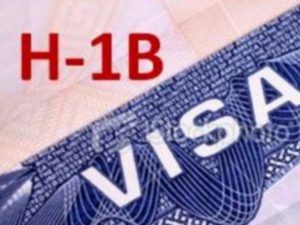 Further, H1B pertains to temporary movement of Indian professionals while US’s position seems to suggest that H1B programme was meant to fulfil the shortage of skilled manpower but over the years has become a back door route to obtain US residency.Be that as it may, this issue needs resolution at the highest level as there are no winners but only losers and colossal waste of resources. In other words, there is a mutuality of interests involved and this how this matter must be seen and resolved at bilateral level. CUTS International also known as Consumer Unity & Trust Society is a non-profit organisation headquartered in Jaipur. The organization addresses issues at regional and international levels through a network of 13 centres around the world.